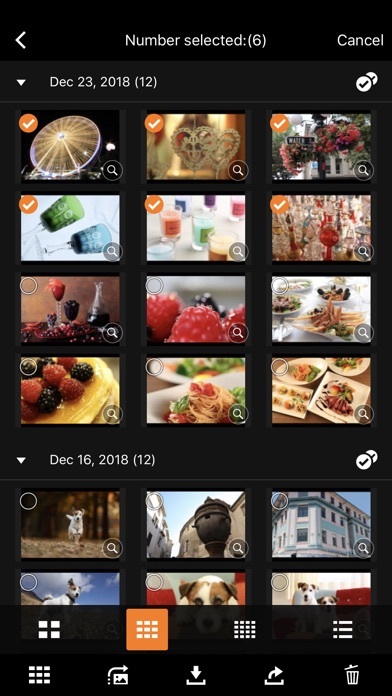 Canon Camera Connect App Data & Review - Photo & Video - Apps Rankings! ・Switch to a Wi-Fi connection from pairing status with a Bluetooth enabled camera. 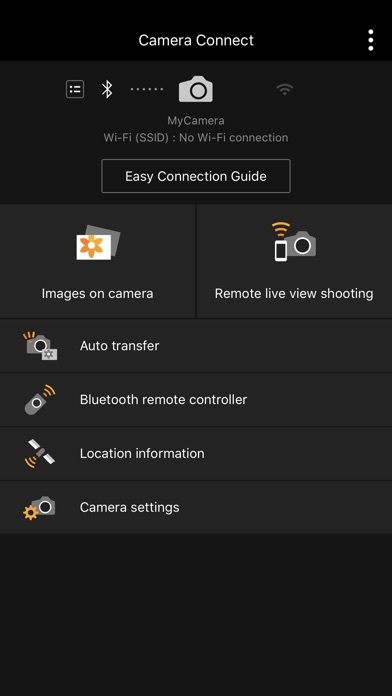 For Bluetooth connection, the camera needs to have a Bluetooth function, and your device needs to have Bluetooth 4.0 or later (supports Bluetooth Low energy technology). ・Continued use of GPS running in the background can dramatically decrease battery life. 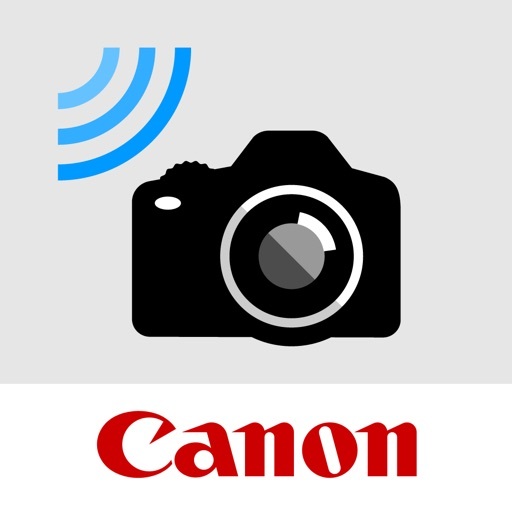 The applications Canon Camera Connect was published in the category Photo & Video on 2015-01-06 and was developed by Canon Inc.. The file size is 81.13 MB. The current version is 2.4.30 and works well on 10.0 and high ios versions. Do you like Canon Camera Connect applications? Please share! For very basic tasks this is largely fine. Working without wires is great but you sacrifice significant battery life so have extra batteries on hand. False color and focus peaking would dramatically improve the usefulness of this app for me. The camera would not connect to my iPad at all. It would see and connect with the WiFi, but the app kept saying “camera not connected.” The camera kept searching for a device but couldn’t find one. Now I can’t figure out how to get my images off the camera. Not worth the download. It tries to open, gives you a black screen for about half a second then just crashes. I couldn’t tell you a thing about the features, I tried for 10 minutes just to get it to open. This worked beautifully with my Canon SX720HS. Ever since the update I can not connect the camera to any of my iOS devices...not iPad Pro, not iPhone. I see the SSID on the iOS device, I can connect to the access point. It accepts the password, but when I go to the app, nothing...zero...zilch! Have used it for two years now it rarely connects. A frustrating app!!! It’s good for transferring pictures onto other devices. It does what it says it does and nothing more. Camera connection is a little funky but when you work out the kinks it’s fairly simple. I really wish it would work with videos as well, not just pictures. If it had video compatibility my rating would be much higher. Canon’s documentation team should be fired and executed if they do not have the honor to end their own lives. Never seen such non-existent assistance. It is only pure luck on your best day ever, that will connect your camera to your phone. Just give it up. The app closes out before you can do anything. Tried it on three different models of iPhone. Might be a good app, guess I’ll never know. This app isn’t working. The set up guide tells me to do things that aren’t an option, and my phone and camera seem to connect but the app won’t respond to the connection and then eventually the connection fails. It used to work but doesn’t anymore. Works well, I’ve had it for quite some time now. The only issue I have is that I cannot transfer videos from the camera to my phone, it will not let me download them. I hope you have answers for this. I have an iPhone 6 btw. The app created hundreds of empty album folders on my iPhone 8 Plus after transferring images over from my Canon 5D4. Main issue is that there is no quick way to mass delete these empty folders, took me several days of clicking delete for each individual folder. The mass empty folders (approx 1400) also slowed down my phone significantly every time I needed to access the photo album i.e posting an image, or opening album library to view images. I have the 200D camera and this app works fantastic with it. It makes it so easy to go through your photos and delete the ones that you don’t want and download ones onto your device. I use it on both my iPhone and iPad. Live view is great, goodbye self-timer function. I honestly don’t have anything bad to say about this app. I use it every time that I sort through my photos. 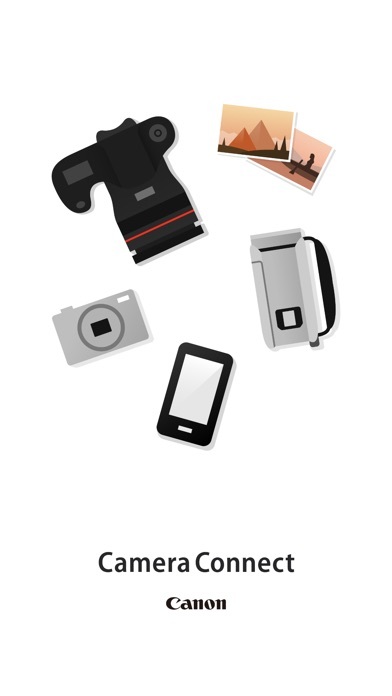 Do this app also connect to EOS 1200D cameras? 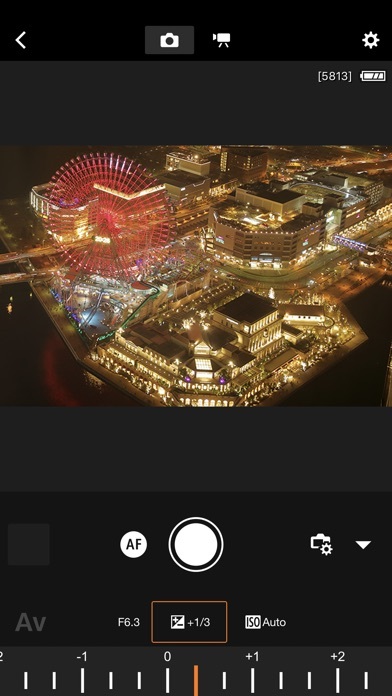 I love the purpose of this app- making it easier for people to get images off their camera instead of going through the hard way with a computer. But the truth is that this app is harder than it should be. It’s beyond me how such a piece of garbage was allowed out. I mean, how hard can it be to connect iPad to camera? Well, for Canon the answer is very hard thanks to an utterly illogical sequence of inputs. And one would think that, once you have managed to connect (no idea how; it just sort of happened), connecting the next time would be easy. But no, of course not. This is Canon, after all. Anyway, the camera’s SSID appears on the iPad - 10 points - but then you’re asked for a password. Somewhere in the chaotic process passwords had appeared but they changed with every attempt (they looked like OTPs). , no matter how hard I tried I could not find the thing nor could I reconnect. So I gave up, put my Bose headphones on - instant connection - and listened to music instead. Was able to connect to my old phone just fine. Now I have a new phone and it won’t let me connect! Please fix this!! Downloaded it - every time I try to open it just closes. This app worked great when I had a Samsung Note 8, but I recently returned to Apple (XS Max) and now the NFC on the iPhone states there is ‘no useable data’ on my Canon 80D. The only option is Wi-Fi but it’s a pain to set up when working out of cafes or away from my usual wi-fi spots I have to program into the camera. Canon please fix it so I can use the technology you advertise. Thanks. Developers need to fix the app automatically creating a new ios photo album on every photo transferred to ios. Really bad. It’s the best thing ever. While travelling found this app and was able to back up all my photos to my iPad or iPhone. Easy to do; just follow the instructions. Cannot download a video from the app.Please improve.I can download pictures from the camera through the app normally but not videos. App used to be great and work perfect for everything, crashing each time I've tried to use it since the latest update! Please can this be fixed I miss this app it's really useful. Everytime I go to open the app it crashes or it just won't connect even though the phone is connected to the camera's wifi. Please fix this app, it is refusing to connect to my Camera. Previous EOS remote worked 100% without issues, connecting instantly.